Wall murals are a trend for quite some time now. Whether you like them or not, there are some beautiful murals that we have collected here in a nice gallery. Enjoy! Add a bit of color to a white wall with a flower mural. You can bring out the natural texture of colored items such as floorboards and staircases. The flower mural is a great way to draw attention to an accent wall without being overbearing, and the design is enough to full a large area with a relatively simple design. 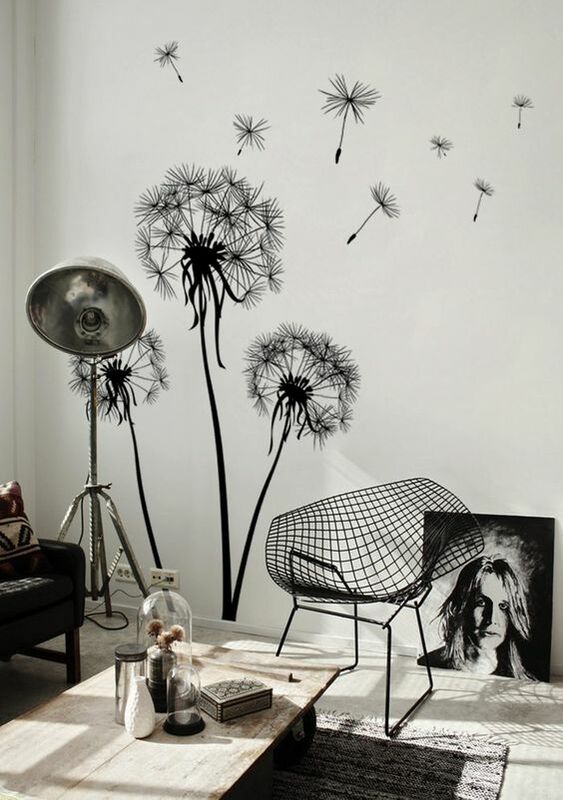 Place the flower mural in an open area to give the perception of added depth and freshen up the scenery in that room. 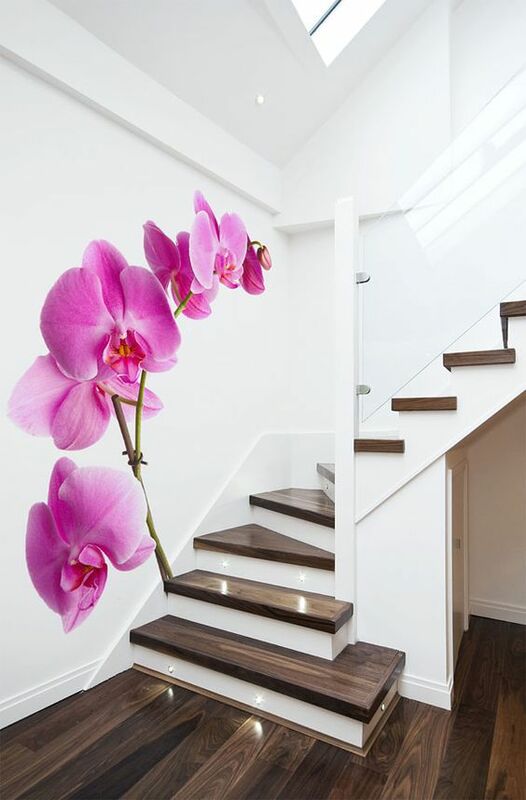 Flower murals also work well in rooms that do not have any live plants of their own – they bring a bit of nature in from the outside without the dirt and bug trails that sometimes accompany flowerpots! The black and white mural can be a powerful statement. Understated and modern, it draws the eye precisely because it is not trying to. You can place very complex imagery in a black and white wall mural that would not otherwise fit on a single wall. Black and white wall mural ideas fit well into small rooms to add a sense of coziness, or in personal rooms to add a touch of comfort. Create fullness with a black and white imagery that you cannot create with color. 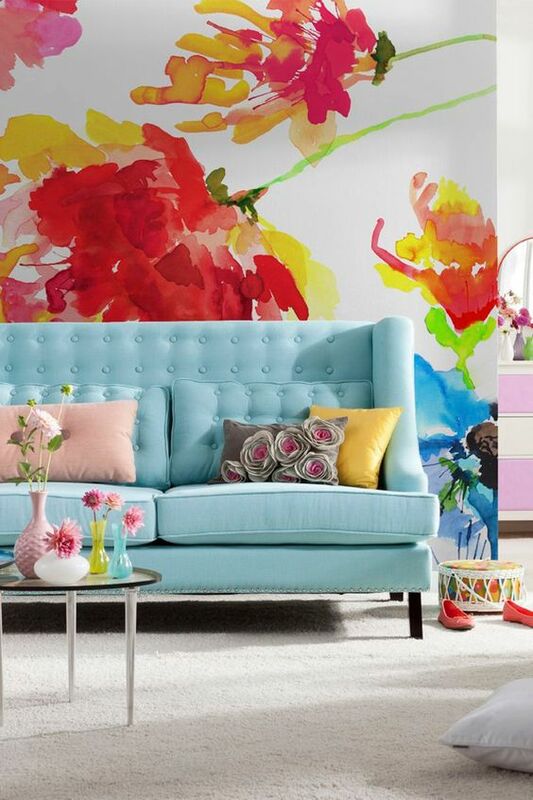 Colorful rooms lend themselves to colorful walls, and a bright summer mural is just the thing to add a sense of brightness into a living room or a sun room. You can match colors in creative ways, bringing out the best in your furniture and floor space. A summer wall mural brings the beauty of nature into a home even with the blinds drawn and helps to expand the feel of a room. Summer murals also help to keep a space warm in winter months, giving the home owner a sense of summer even in the coldest weather. Have a cup of hot cocoa in the summer room and get toasty at any time of year. 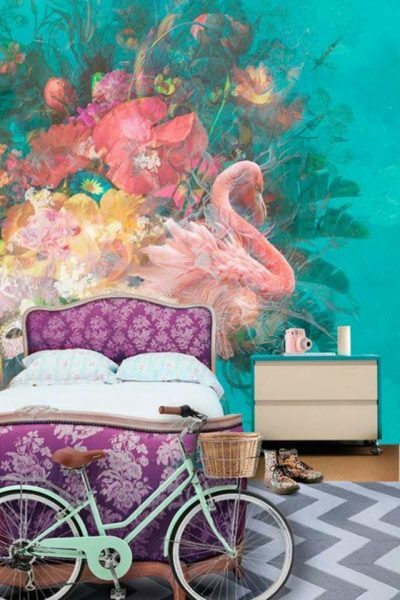 If you need a wall mural idea that will bring together strong ideas in the furniture and in the flooring, a flamingo mural may be just the thing. The flamingo mural bursts forth with color from a central location, drawing the eye with complex patterns that do not take over the room, rather complementing the stronger elements there. The flamingo is also a symbol of strength and beauty, giving a sense of power to the room. 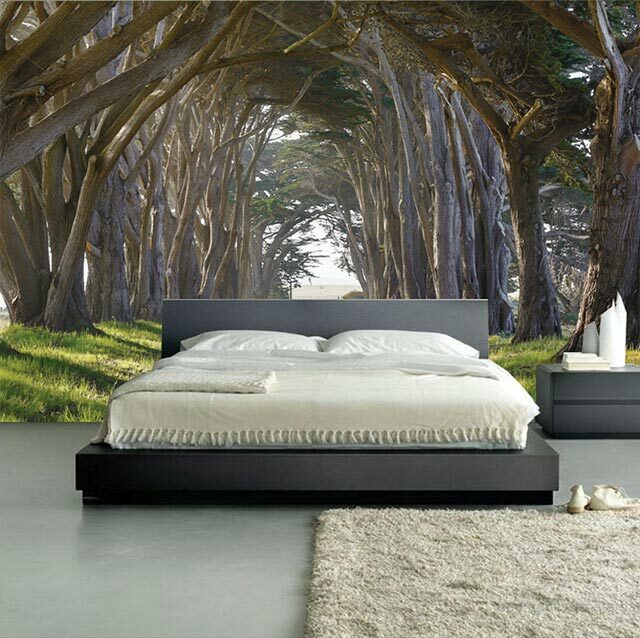 Stretch your room wide with a mural that adds the flair of nature and a beautiful design to boot. 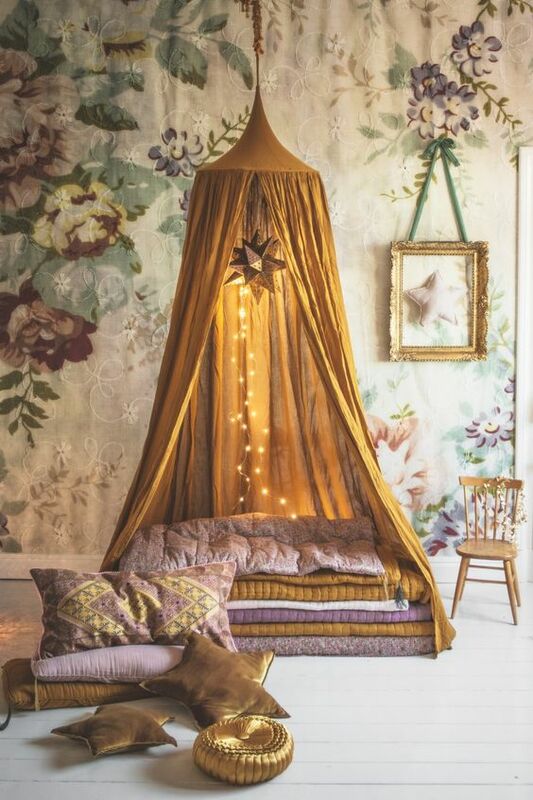 The rich colors and the visual depth of the Bohemian mural add space to a room, especially smaller rooms. If you want a room that you know will contain offbeat furniture and you need a wall to match, then this mural may be your solution. The sense of awe and wonder that your guests will receive coming into a room with a Bohemian mural goes great with incense, calming music and a natural tea or coffee drink. Give the entire room a feeling of fullness and luxury without spending luxury money. You can instantly brighten up a cold room, especially rooms with wooden floors, with this winter mural featuring birds celebrating themselves in winter. The mural will help to remind you of the life that comes even from cold weather and give you warmth in the winter months. Give small rooms a focal point that draws the attention of the viewer and adds a vibrancy to every other aspect of the room with these birds, and create a cozy feeling. 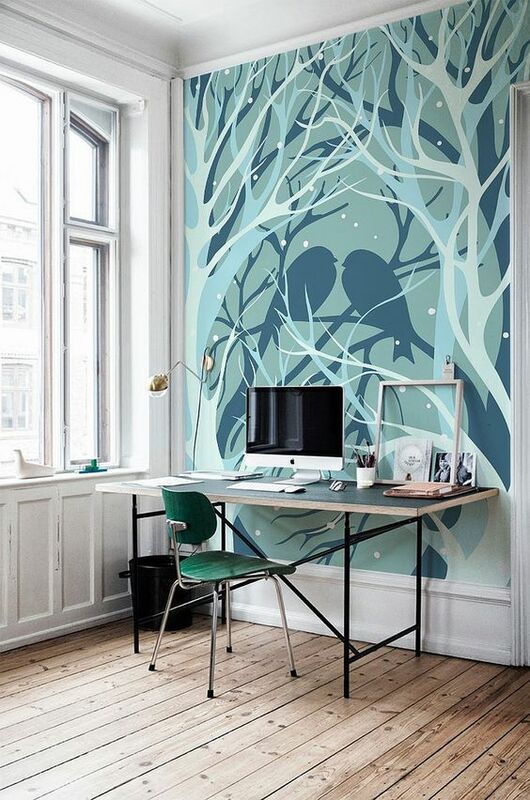 This mural is especially great for work spaces that need to create a sense of relaxation in the space for high productivity. 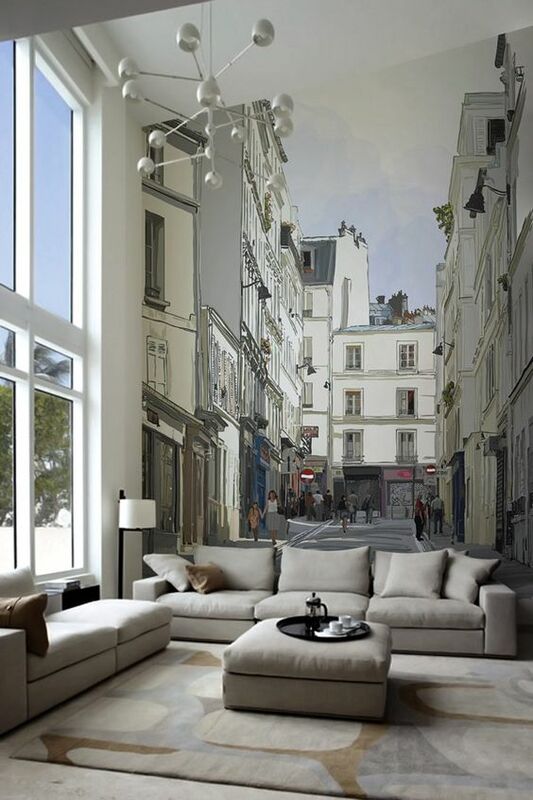 The city scene mural is a perfect addition to a modern decor that takes a central location in your house. With 3 dimensional depth and a color scheme that adds to the understated colors of the modern home interior, the cityscape is the final touch that will make your home unique. Although the mural is still, it seems to move with an energy that will translate into your inside space. Bring guests into this room to help get them ready for a night out on the town with friends. Come into this room yourself to get the energy that you need to keep going when things get a bit slow as well! Inspire awe into your life every time you wake up in the morning. A galaxy mural is the perfect scene to open up your mind for a new day. 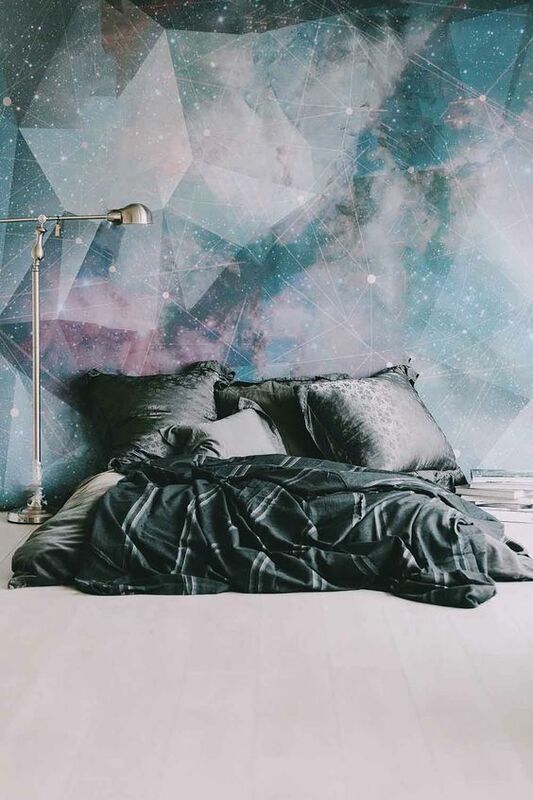 Match your wall to your bedsheets in the sleeping area or bring the galaxy mural out into the living space for a futuristic look that is sure to be the center of attention. The colors that burst forth from the galaxy scene will bring a viewer into the mural in a powerful way. Match the dark hues to other dark hues or contrast them with lighter colors in the decor for an even more explosive effect. 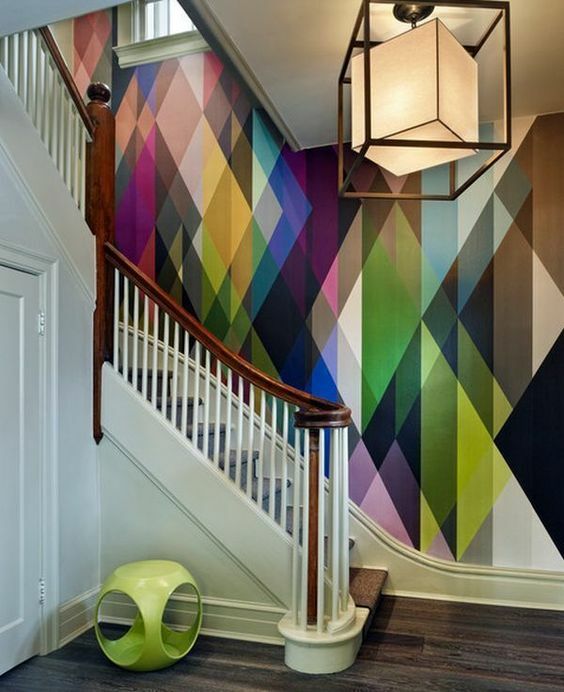 If you are a fan of modern interior home design, then the geometry mural is right up your alley. Featuring designs that will bring out the best in your angled accent pieces and add a dimension to your traditional decor, the geometry mural can make an old room look brand new. Challenge yourself to find the right furniture to match your new wall, and give your open areas a modern look that will be the envy of your friends and guests. This mural is perfect for creative types who need a bit of abstract flair in order to feel inspired when they walk into their home. 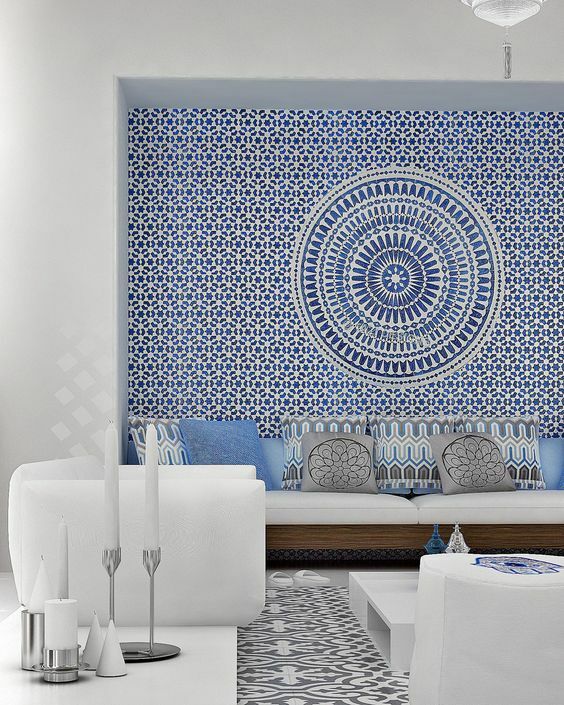 Brighten up a white area with the geometry mural, instantly giving your room a direction and a flow. The murals inspired by Greek decor and culture have a specific place in today’s culture. Unlike many of the other murals, you can find a complete interior design based around the same design as the mural, giving the rooms in your home a cultured, professional feel. If you are looking to establish a robust dining area, then the Greek mural is a wonderful start. Finish off the look with high quality centerpieces of the same architectural culture and watch your room soar. Add a calming look to a bathroom or a bedroom with the jungle mural. The subdued colors blend into the wall and give a sense of belonging. Rooms with windows and mirrors are an especially good choice for the jungle mural, as the reflections of the mural give a sense of being surrounded by nature. 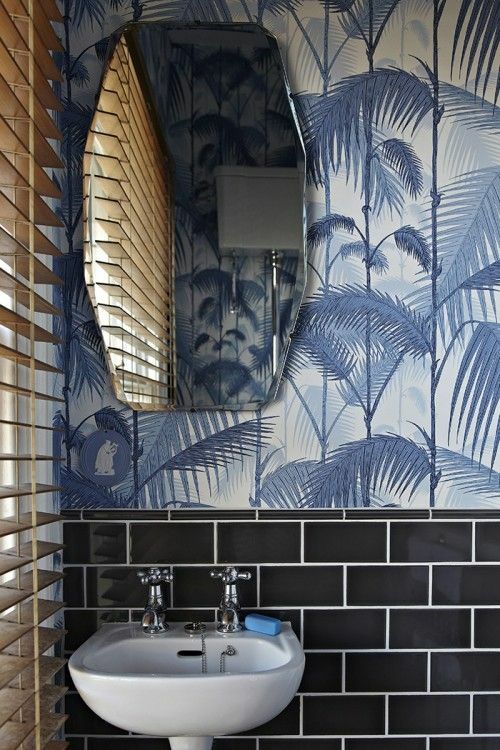 You can also easily match bathroom decor to the jungle mural for a complete look. The mural of nature is a traditional starting point that lends itself to adventurous interior design. This mural can serve as the backdrop for a modern, geometrical interior design or a more traditional one. Inspire yourself every day by putting this mural directly above your headboard. You will wake up feeling more refreshed. This is also a very forgiving mural when it comes to colors because of the subtle rainbow that it contains. You can match nearly any arrangement with this mural and seem like a professional. This is a great choice of mural for the adventurous people who like to change their minds and rearrange rooms every once in a while. Remind yourself there is a world to conquer with the sea mural. Complete with surfers and lots of activity, this mural will excite you and serve as a modern backdrop for your new age decor. This mural is perfect for a younger Millennial who is looking to bring big city life into a smaller location. The subdued colors bring just the right amount of attention to the mural without being too demanding. 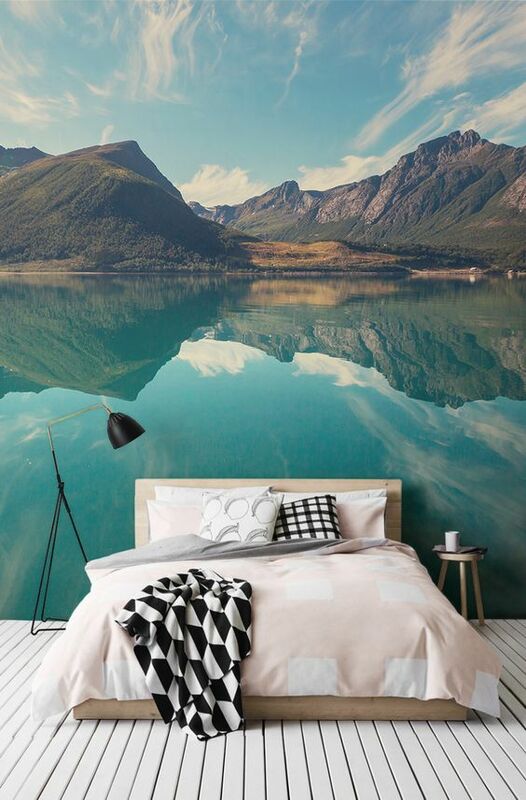 Depth and color make this the perfect mural for a bedroom. If you like white space in the room itself, you can still make it seem like home with this design. This mural does not require much accessory, so you will not have to spend a great deal of money finding matching furniture or accent pieces. Keep this selection in mind for an easygoing yet powerful imagery that will inspire you. Bring the flair of New York City with you wherever you go. This is a incredible mural to use in spaces with directed overhead lighting; you get the feel of a movie studio with Marilyn Monroe in the dressing room next to you. The color scheme lends itself to a truly urban feel and invites you to complete the look with the right steel furniture or accents. The New York City mural is a great choice for people who enjoy bright lights and action.